Yes, we have a problem and we know it. Both of us still own our first cars - from when we were in high school. Both of us love to drive. Both of us love history. Both of us love the great art of design of cars and ... we just can't help ourselves. So you ask, what do we do when we are not doing Fundraising Auctions? We are playing with our cars! 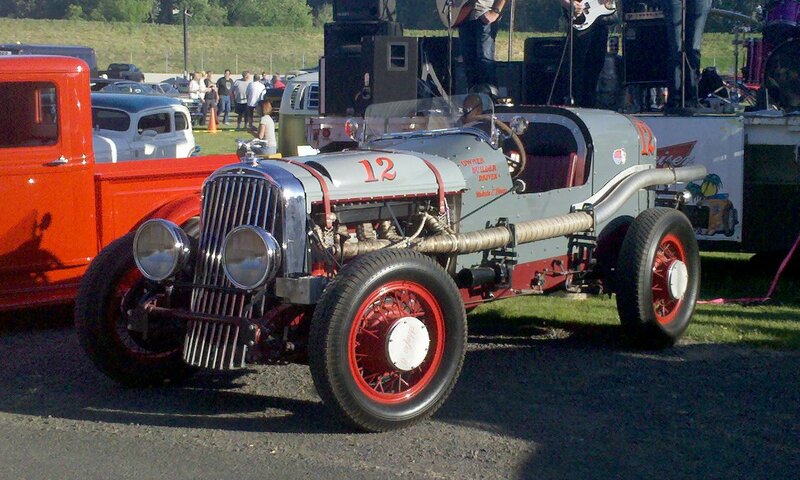 In 2005 we began competing in The Great Race - a 14-day cross country Vintage Car Time-Speed Endurance Rally ... on of the most grueling vintage car events in the world. Our first year we took our '41 Packard. The next 2 years we took Pat-the-girl's high school car - a '56 Thunderbird. 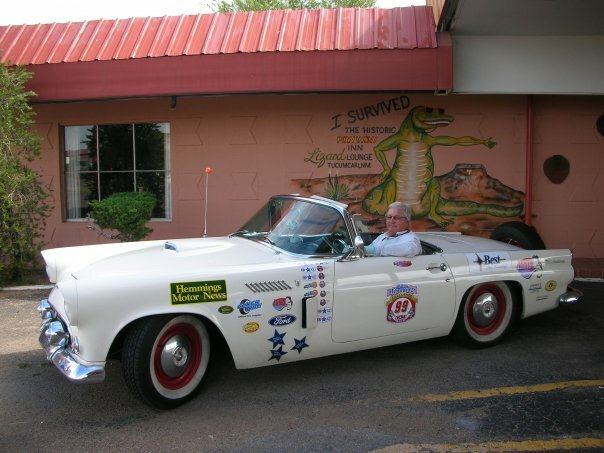 We competed in 2005 Washington DC to Tacoma, WA - 2006 Philadelphia to San Rafael, CA and finally 2007 Concord, NC to Anaheim, CA ... finishing 17th of 100 cars that started (only 70 finished!) 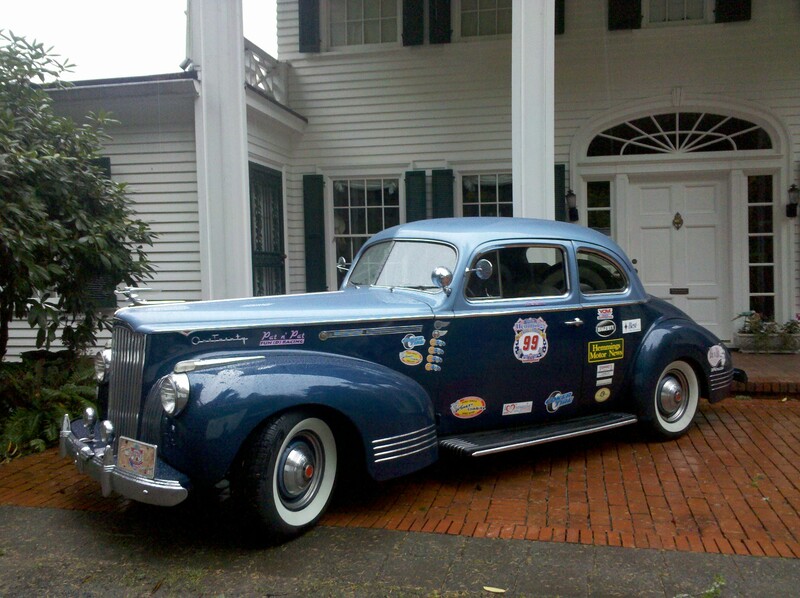 After a short "rest" the Great Race came back in 2011 running from Chattanooga, TN (home of Coker Tires) to Bennington, VT (home of Hemmings Motor News). Since we felt it important to be in the spirit of the event we purchased a 1931 Buick Racer - no top, no fenders, just good old racin'. In 2011 we finished 6th in the Sportsman Class. The 2012 Race ran from Traverse City, Michigan (home of Hagerty Insurance) through Canada around the Great Lakes ending in Dearborn, Michigan. Luck was with us and we finished 3rd in Sportsman (out of over 50 entries). We are also VERY involved with the Vintage Car Rally Association (VCRA), a nonprofit group devoted to putting on great rallies and raising money for Autism. Since 2007 the VCRA has raised and given over $400,000 directly to schools and groups for their programs to help kids and their families suffering from Autism! In 2012 we held the first "VCRA Race for Autism" in conjunction with the VCRA Rallies and Great Race. The Racers raised over $53,000 for the VCRA! Way to go Racers!